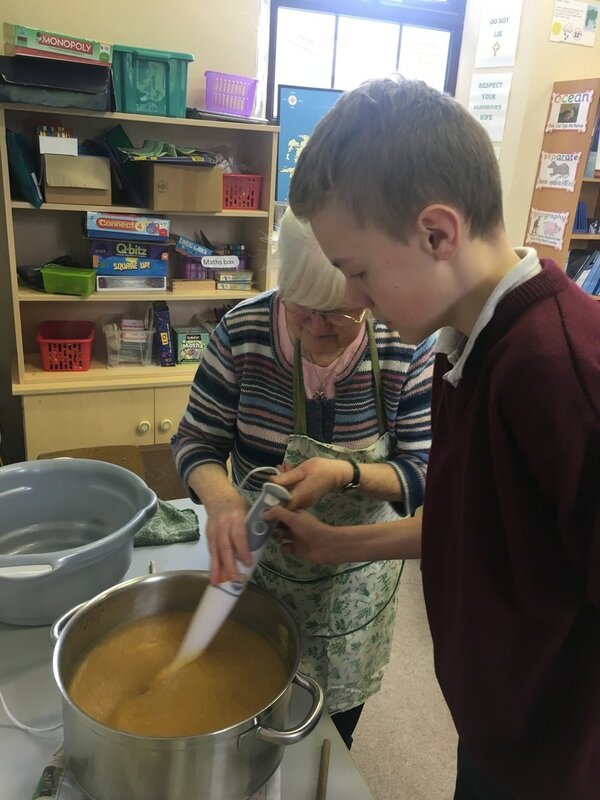 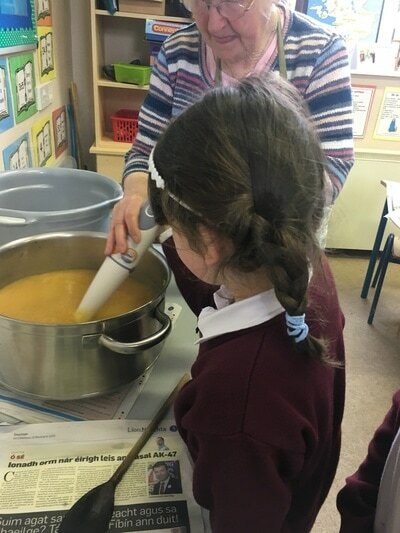 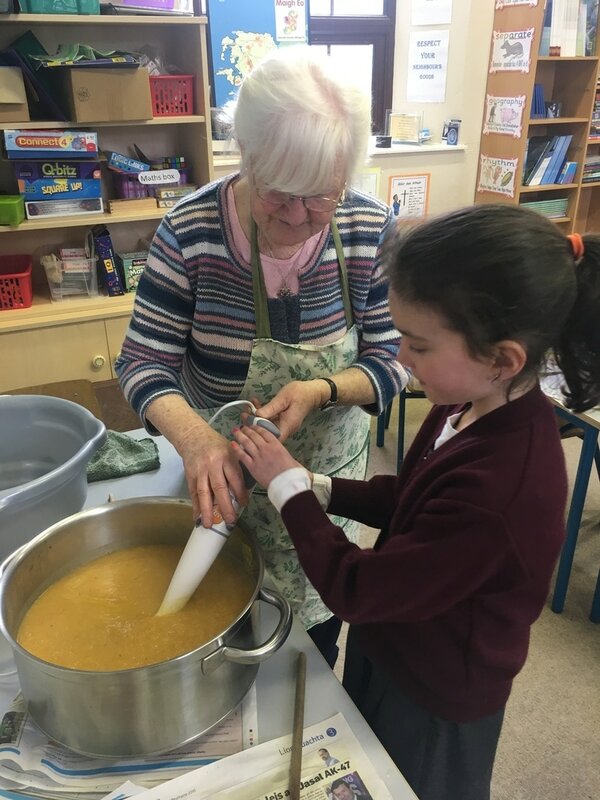 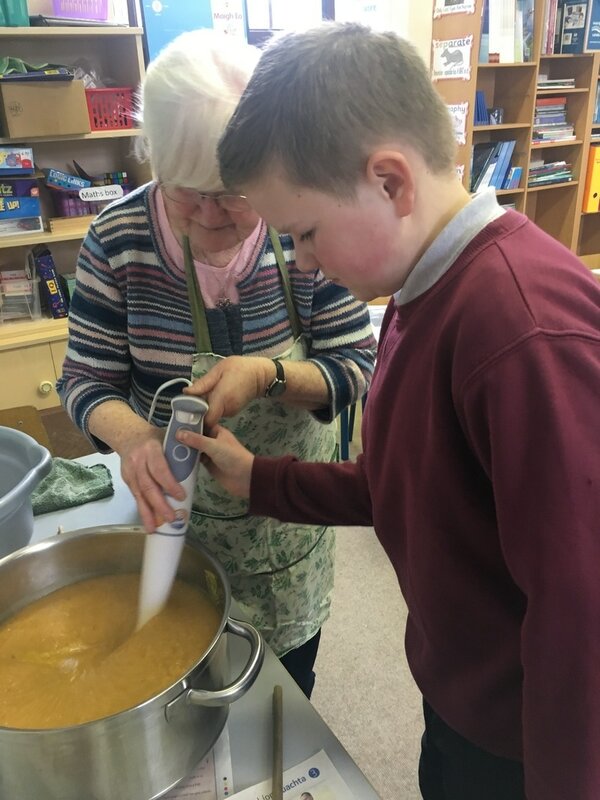 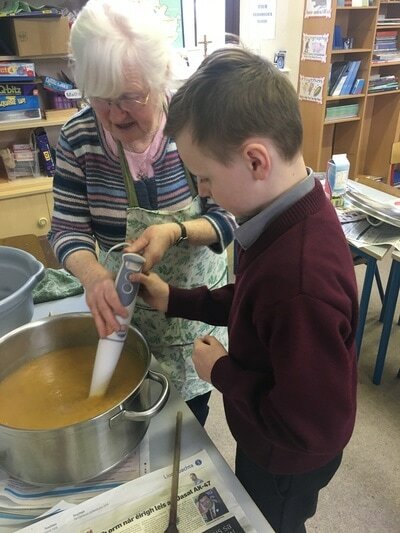 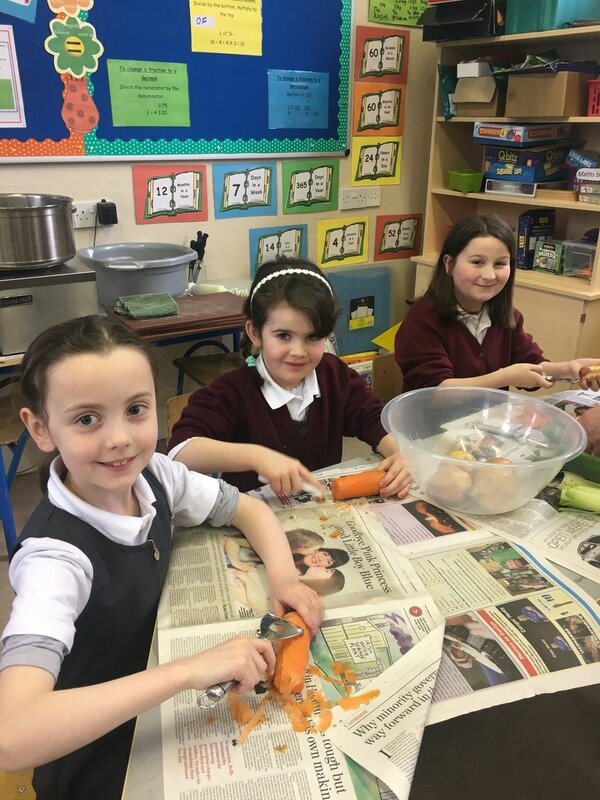 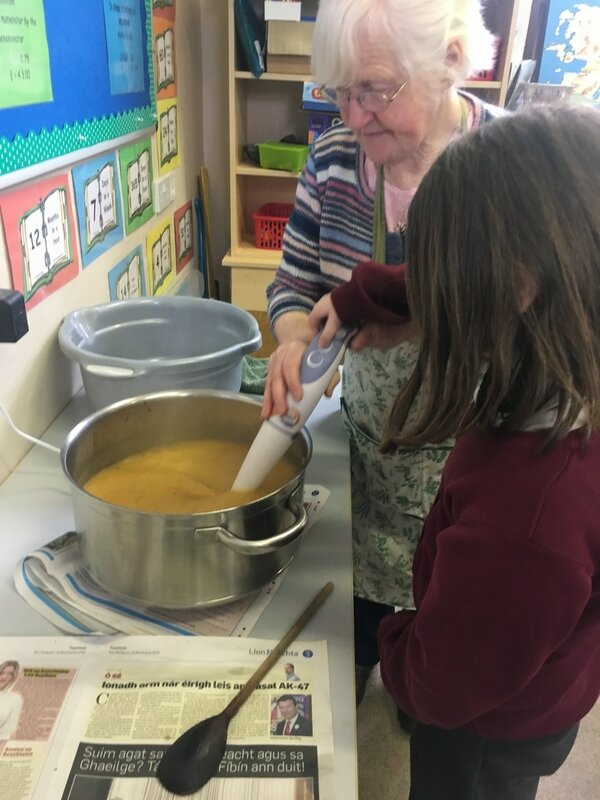 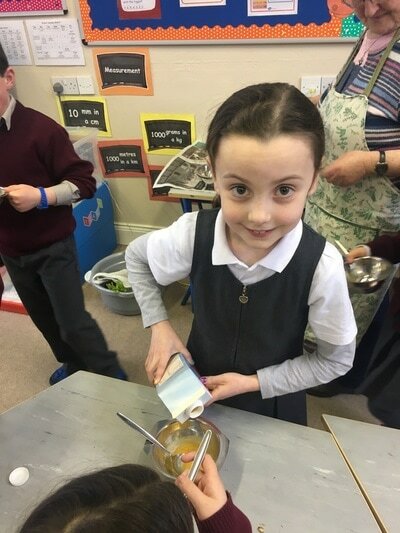 Making beautiful, healthy vegetable soup with Máirín. 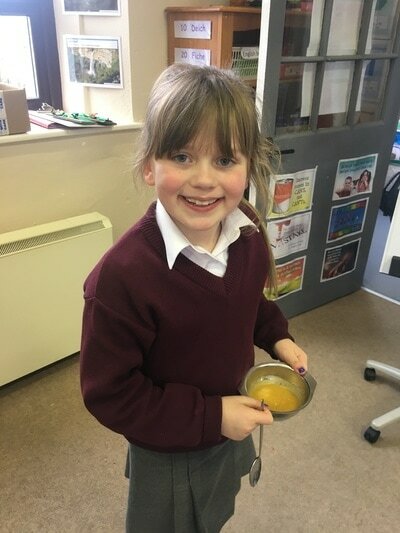 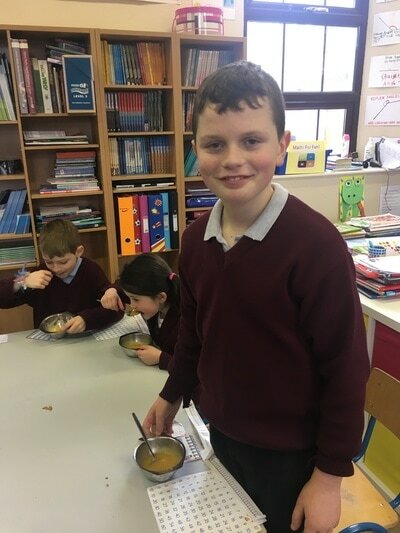 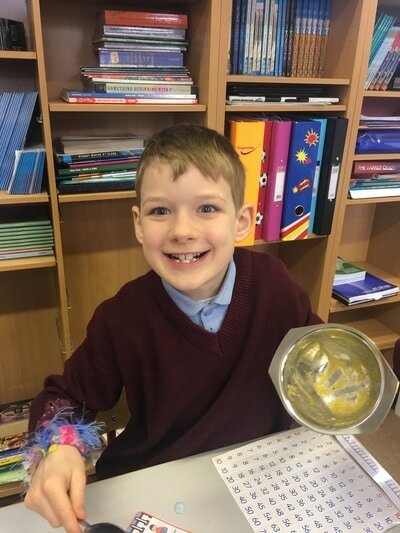 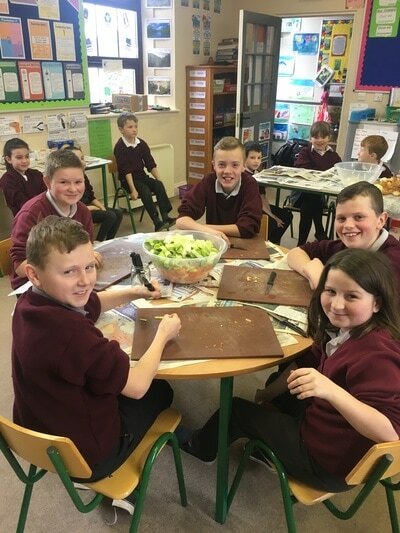 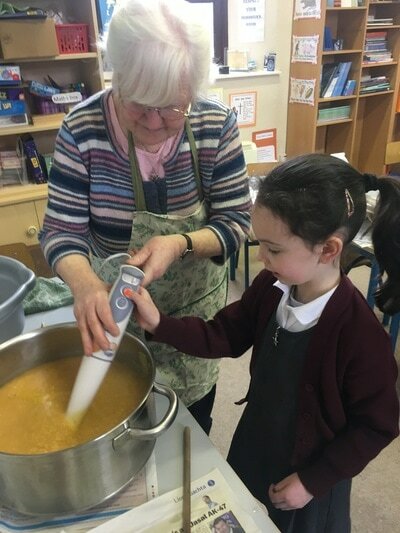 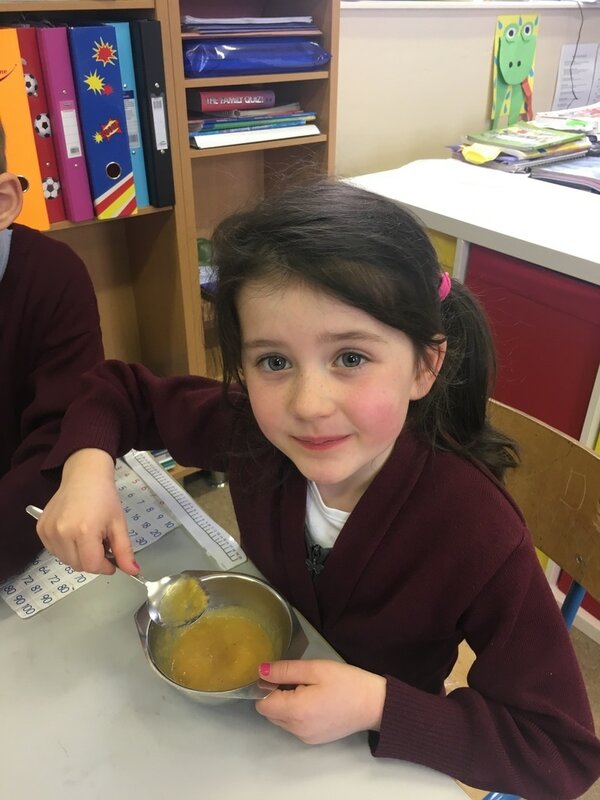 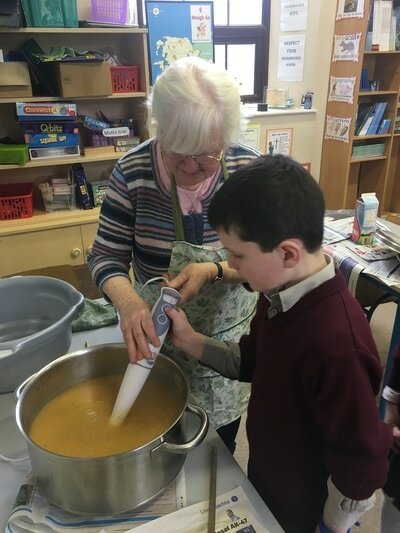 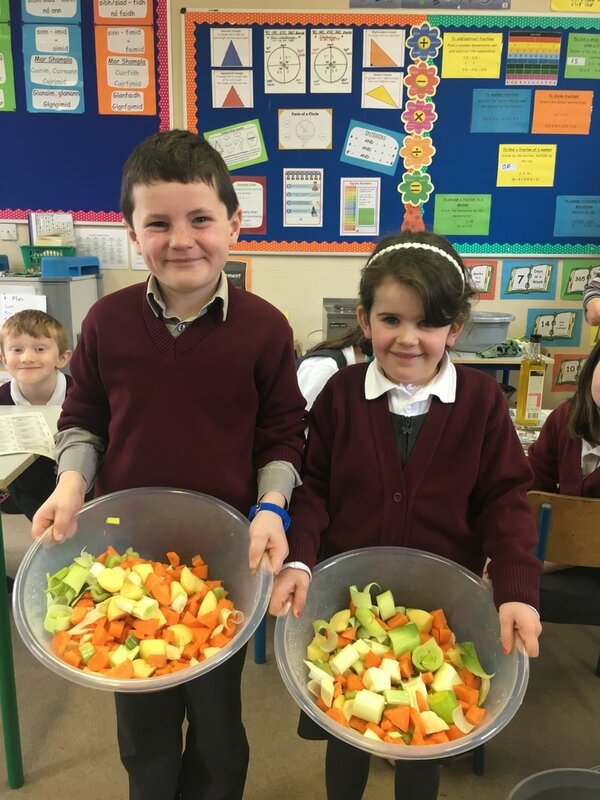 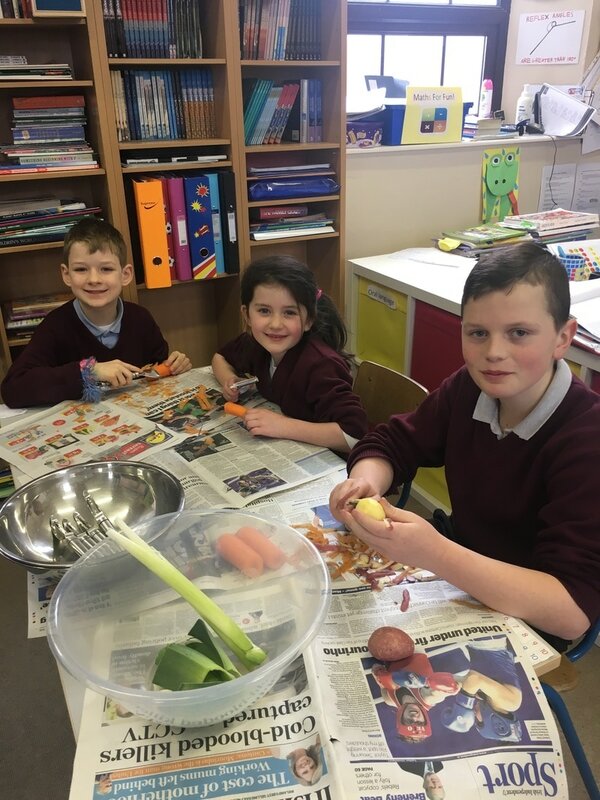 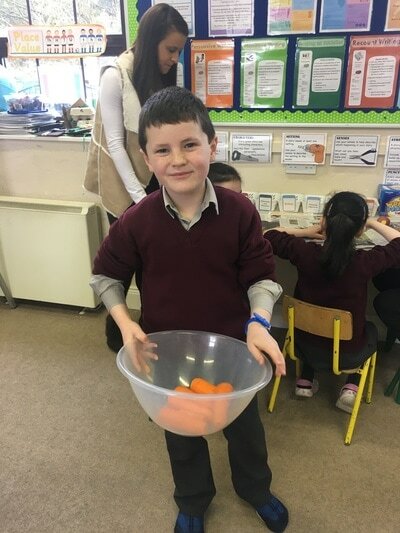 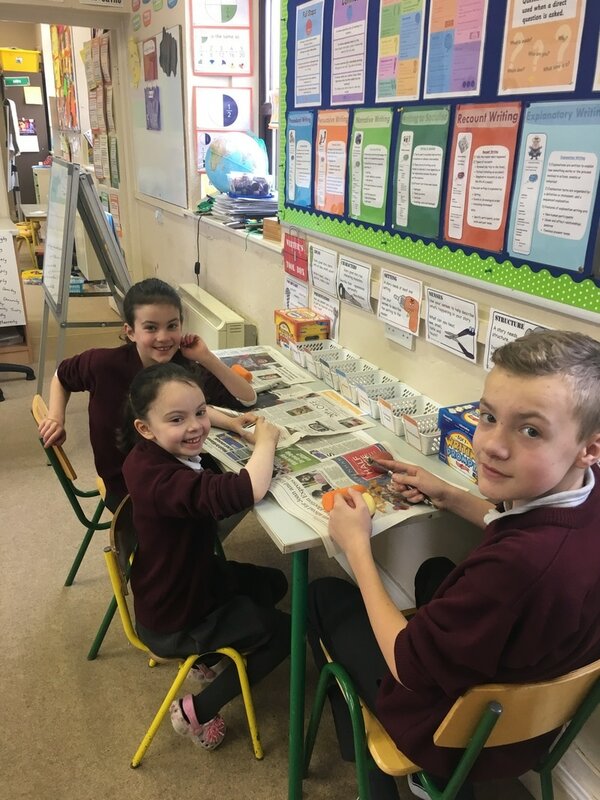 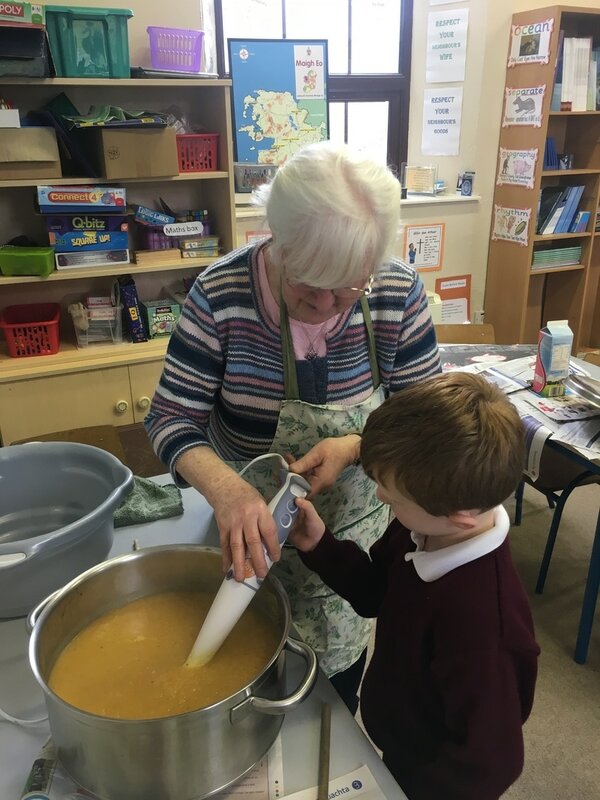 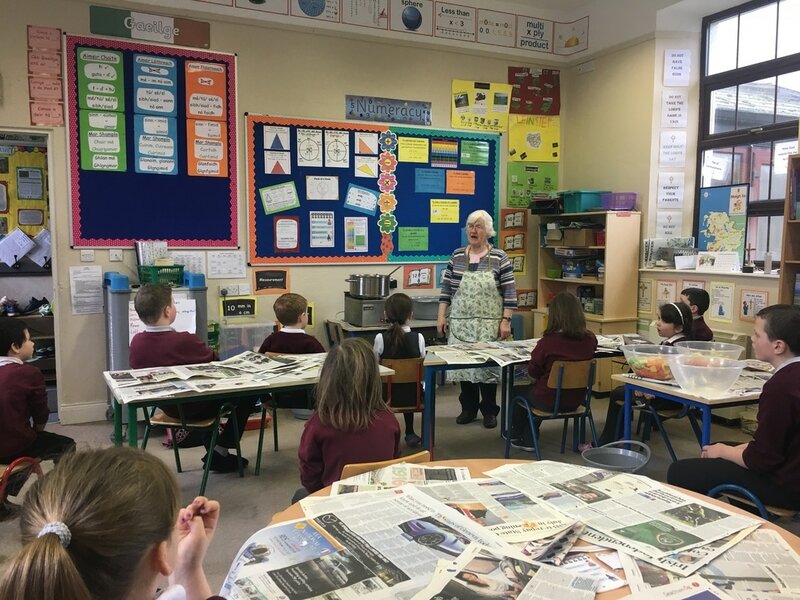 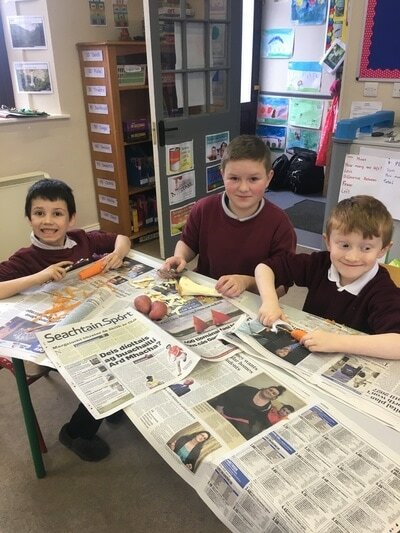 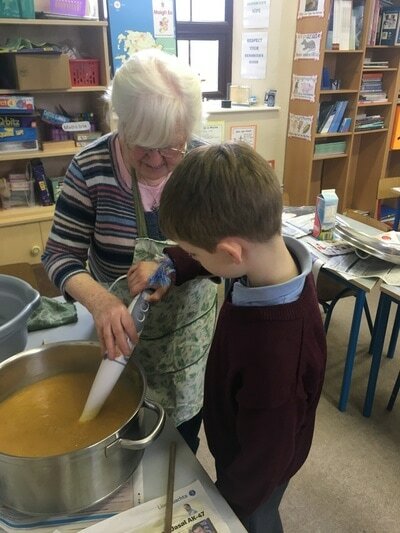 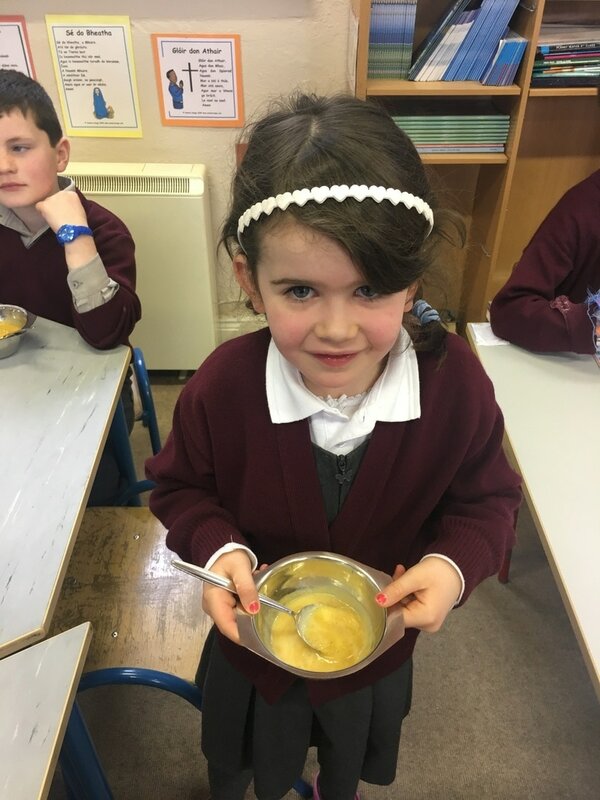 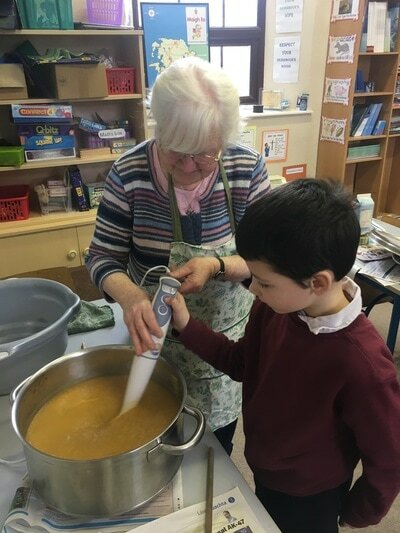 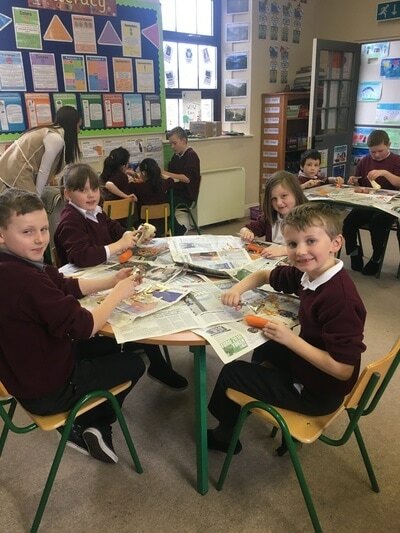 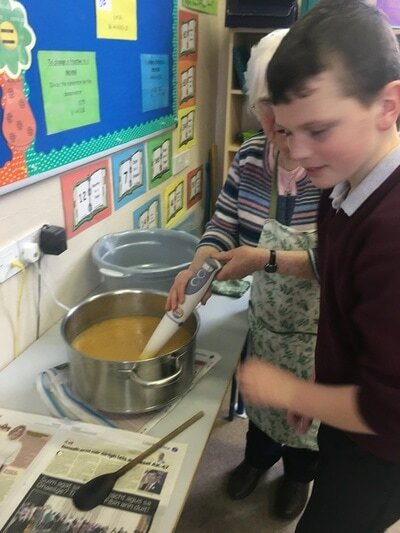 Máirín taught us all about growing vegetables and how to use them in soup. 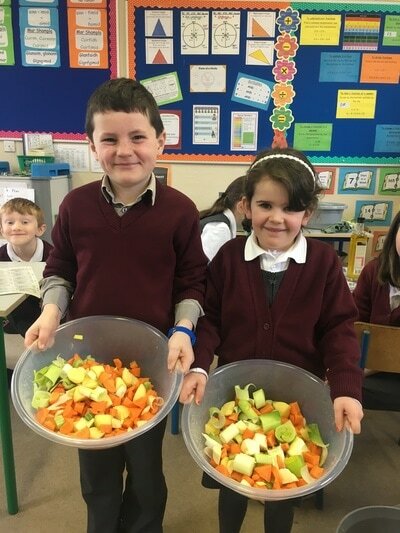 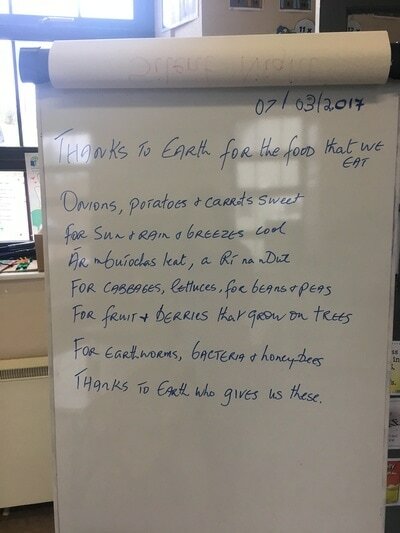 We learned how vegetables are part of biodiversity and the importance of them in our lives. 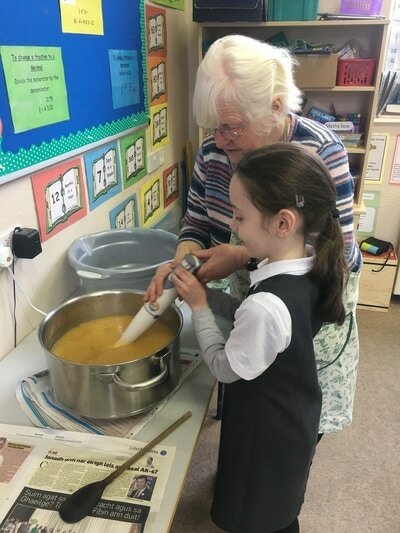 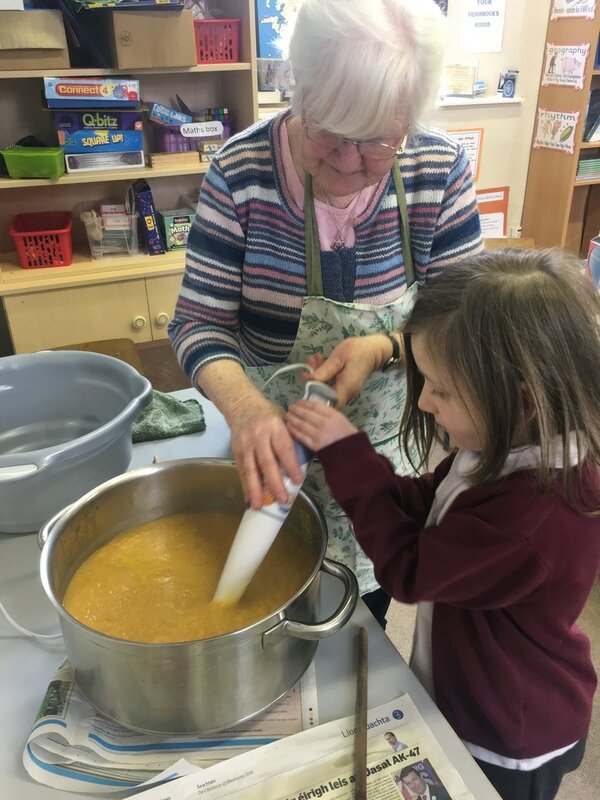 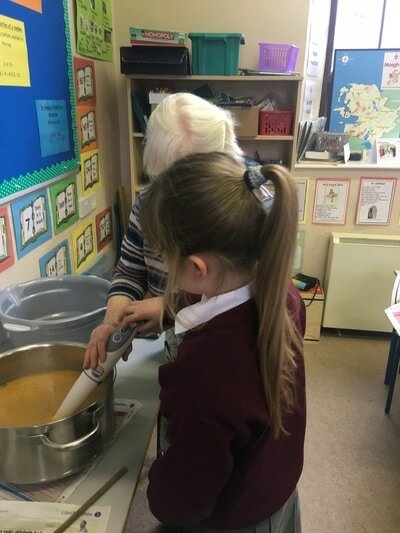 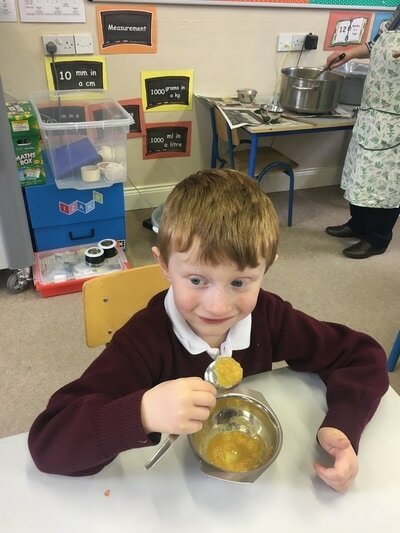 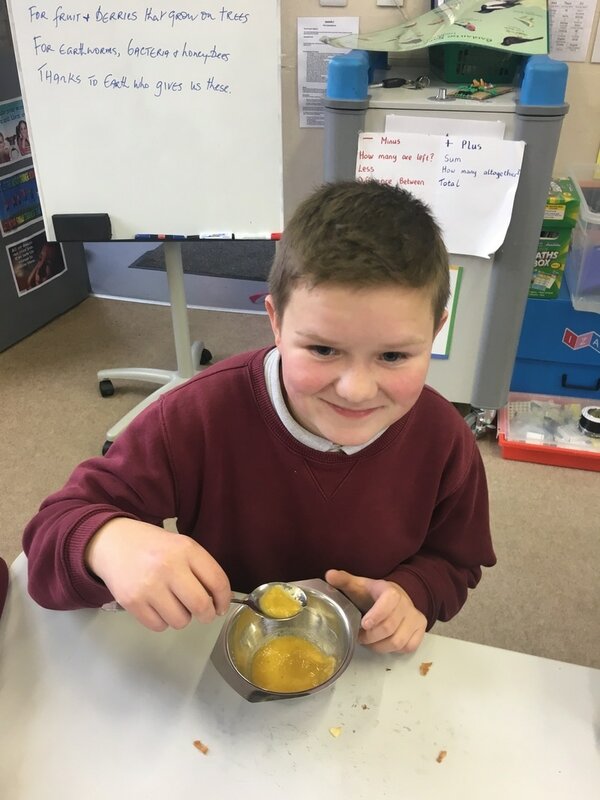 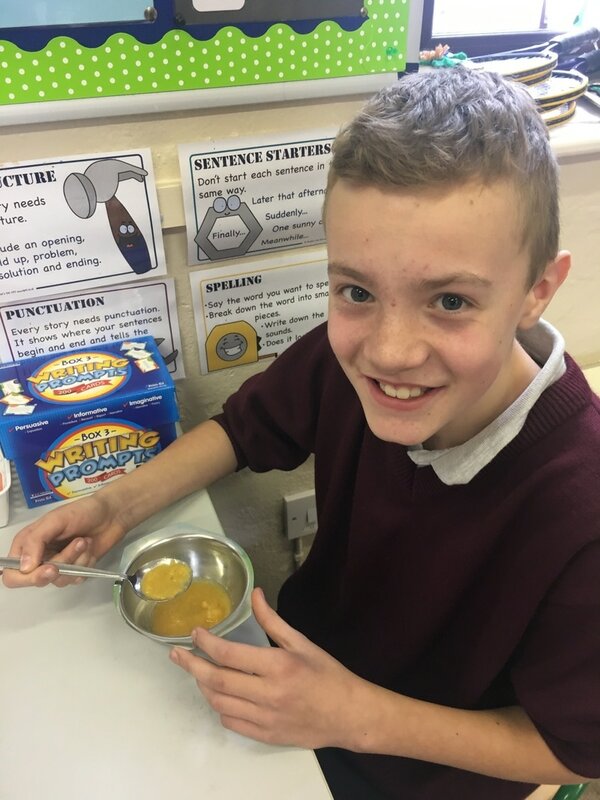 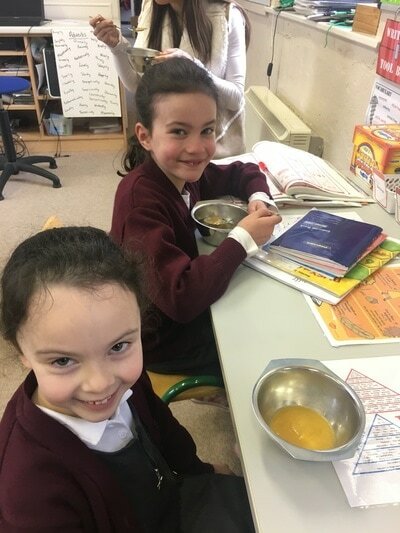 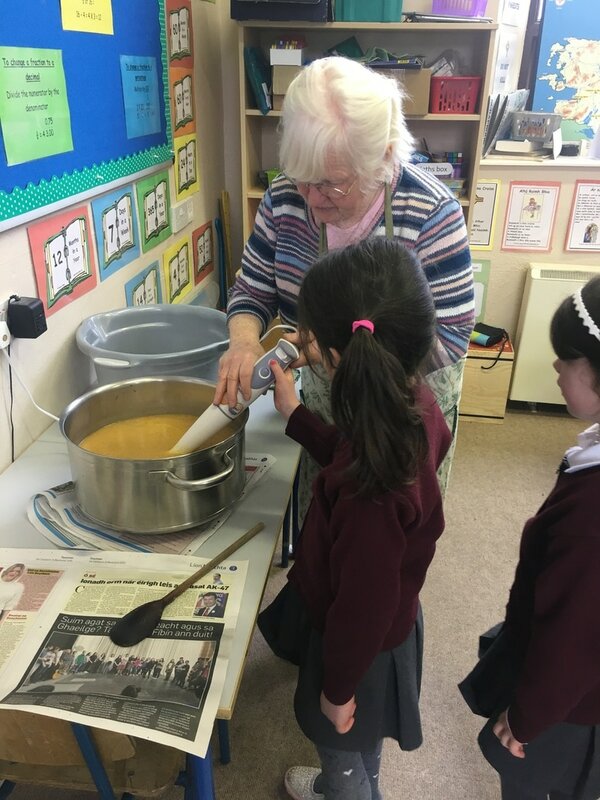 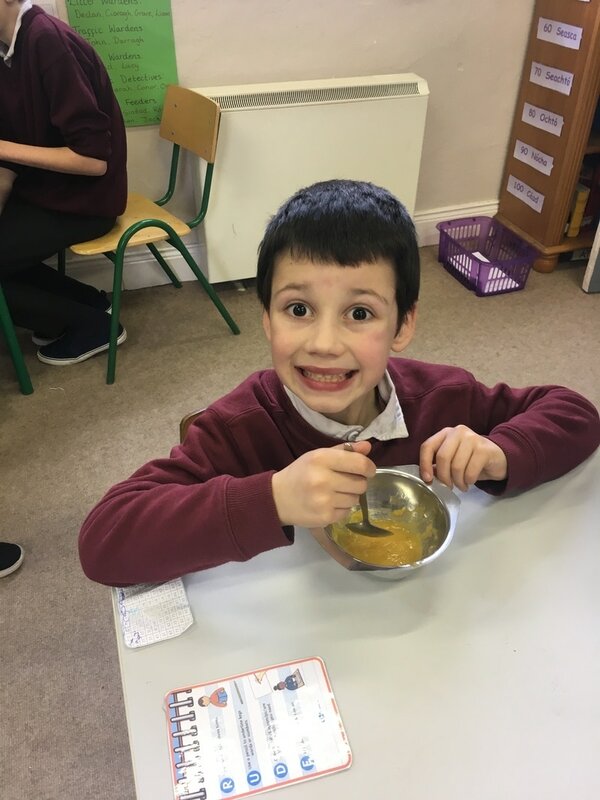 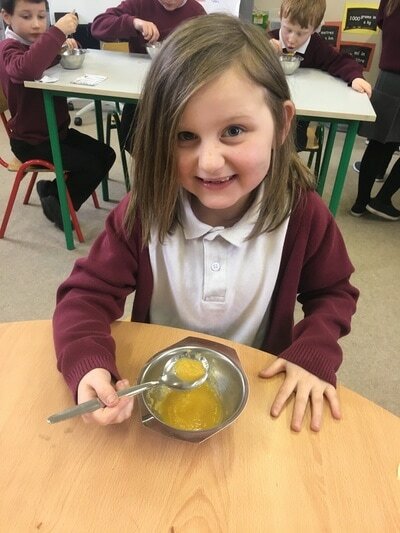 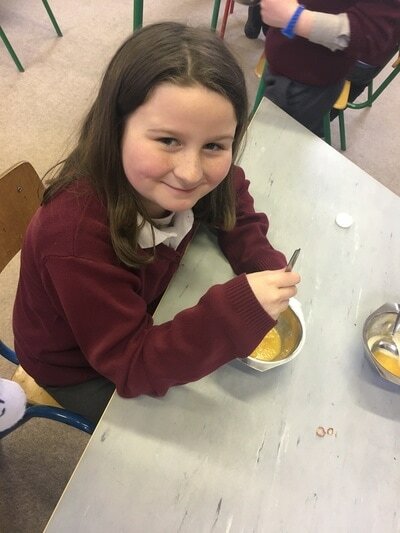 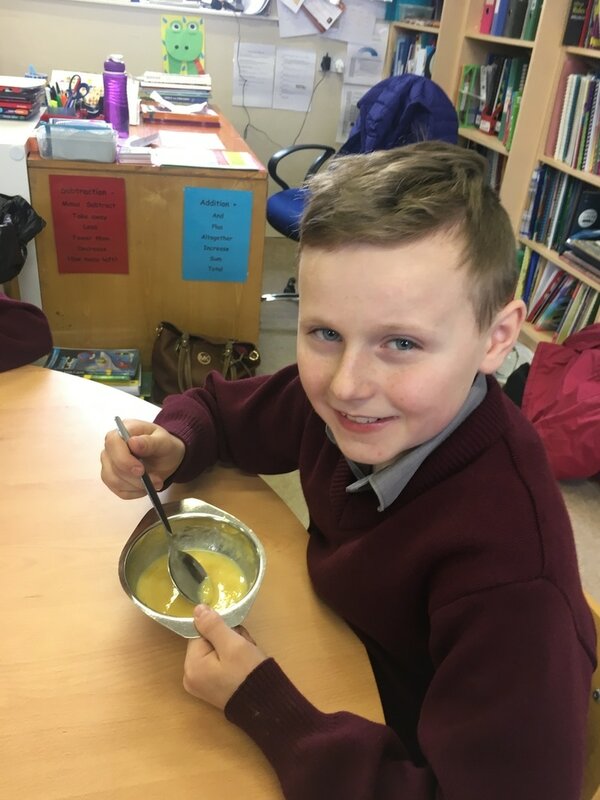 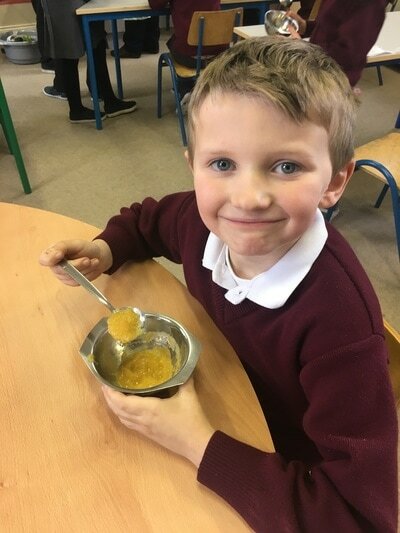 We then got to enjoy the lovely soup!